Corn kernels, trucks, scoops and cow! 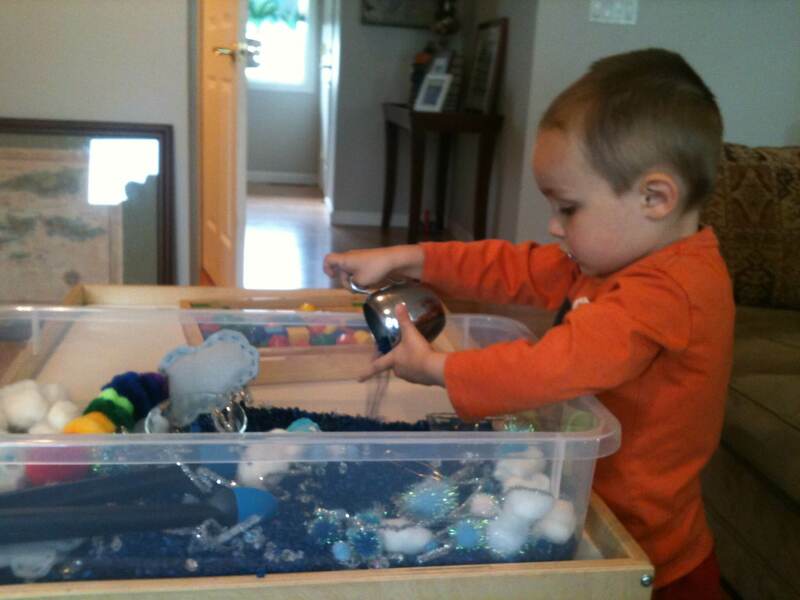 Our first sensory bin! 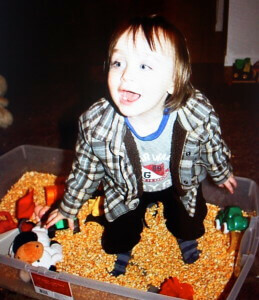 The last few years have been filled with many sensory bins. Sometimes they have had a theme other times they have just been a collection of random items to keep little hands busy! 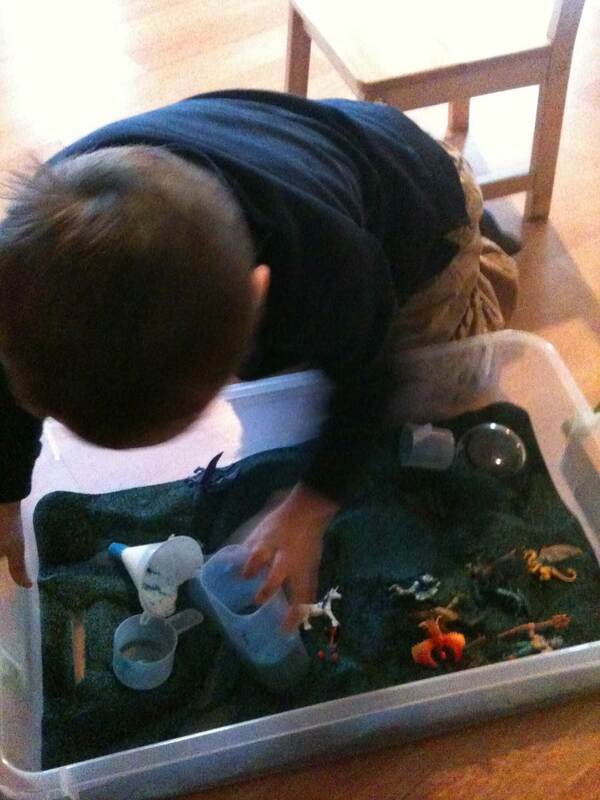 Right now, at this moment, I wish I had captured those bins in more detail. 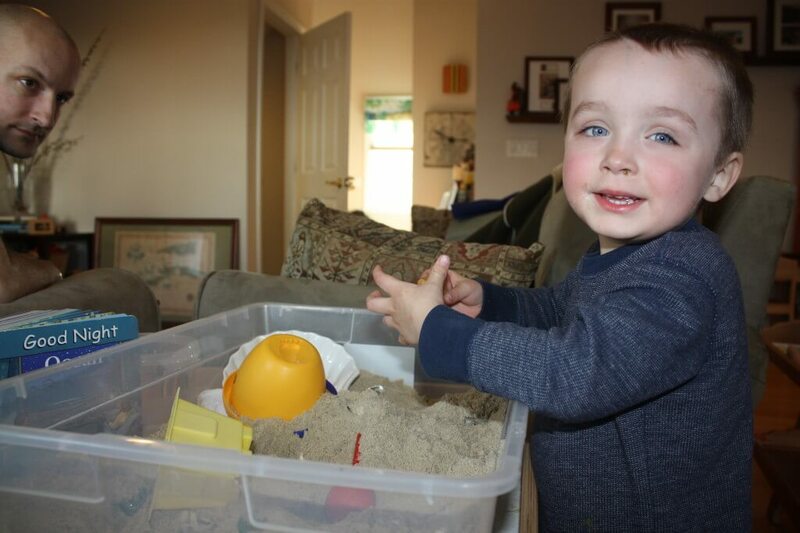 I still have small reminders so I thought I would gather them together and share them with you as a Wordless Wednesday post today! 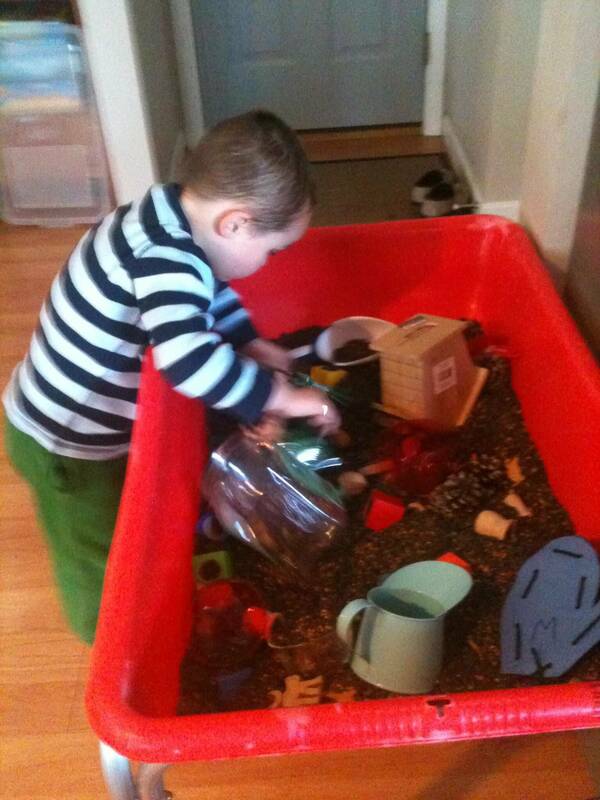 There were so many more bins I never even took a picture of but I know it was because we were playing! 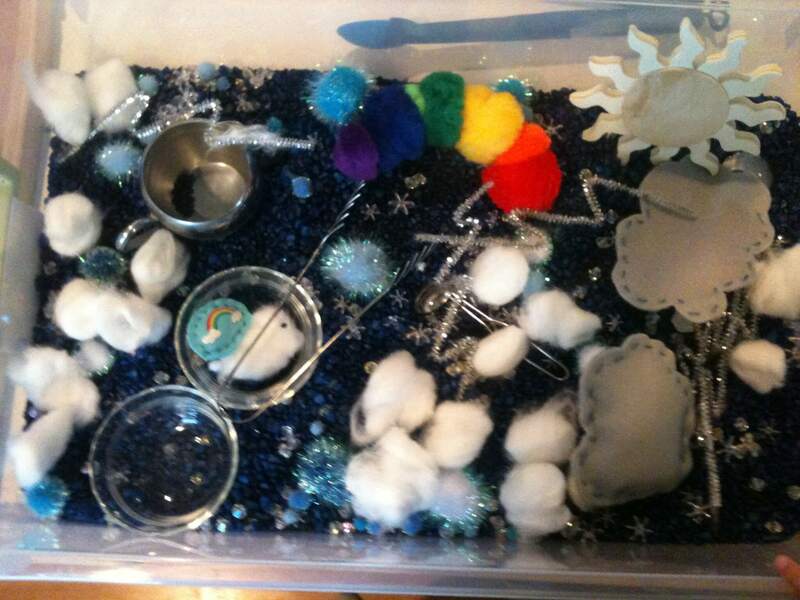 If you haven’t read my first ever post about how I fell in love with sensory bins, here it is. Sand, shells, a bucket and a shovel. I put out some beach books and he was so excited! 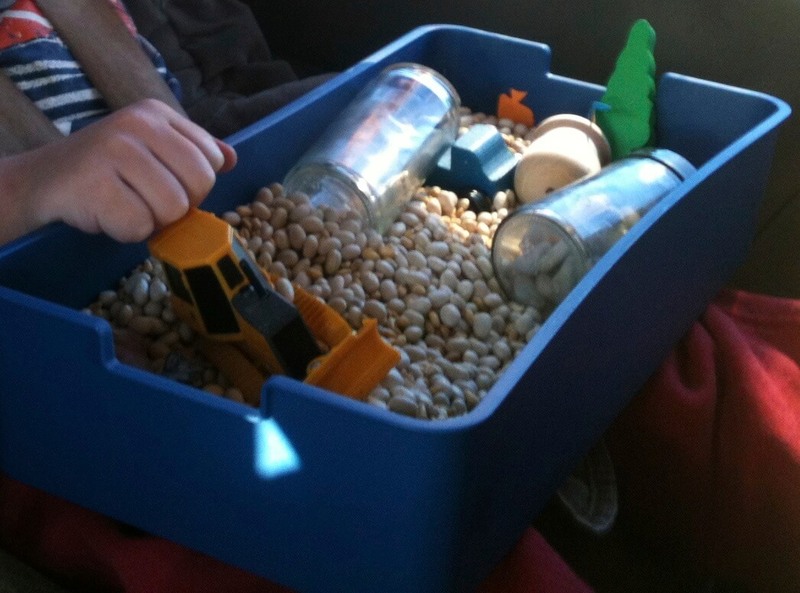 Travel bin for a long car ride. Beans and barley and odds and ends. 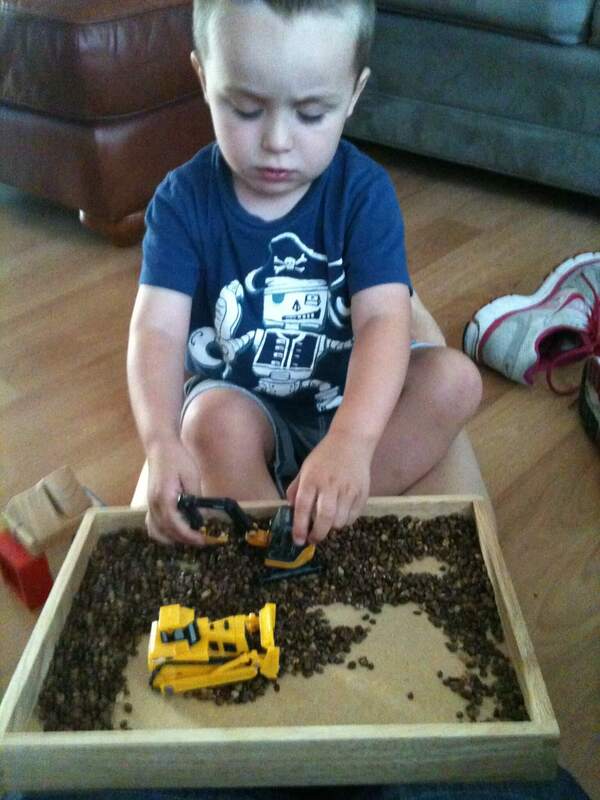 Of course a digger! Easter 2012. 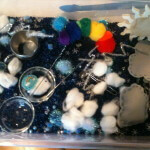 Colored rice, ducks, chicks, a rabbit and eggs and more! 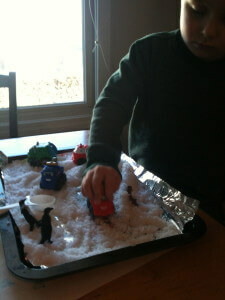 Fake snow for winter construction vehicle and penguins. 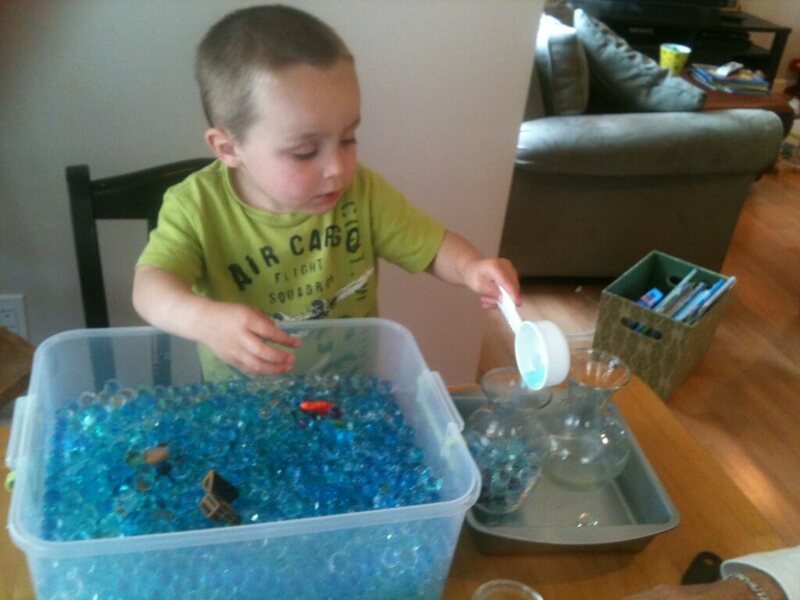 Spring time construction with aquarium rocks. Very simple but he enjoyed it! 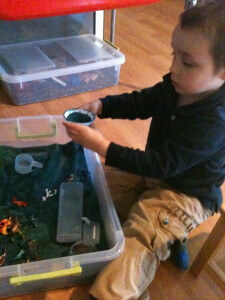 Colored sand from craft store, funnels, containers and a dragons TOOB. 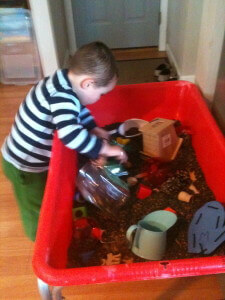 Birdseed bin (left) with to much stuff! 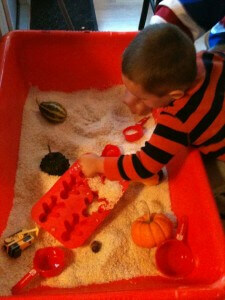 Bird house, wooden forrest animals, shelled walnuts, watering can, colored blocks and more. Rice bin (right) with a harvest theme. Gourds, acorns, cinnamom ornaments (not shown), construction paper leaves, pine cones. 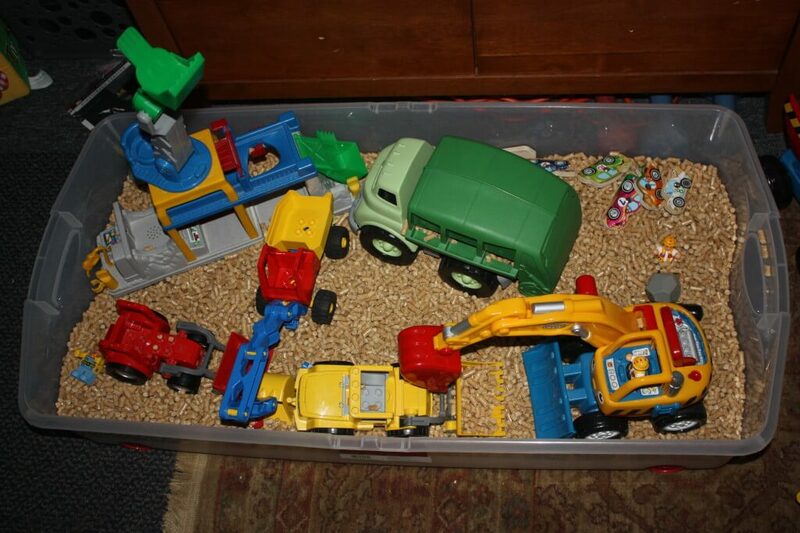 This is a large underbed storage bin with wood pellets. Totally all natural! 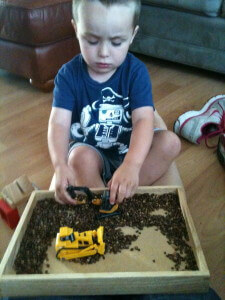 We always have this in our family room and a variety of vehicles migrate in and out. That’s a good round up of our past sensory bins but I will keep it ongoing as he gets older so I can watch him grow! 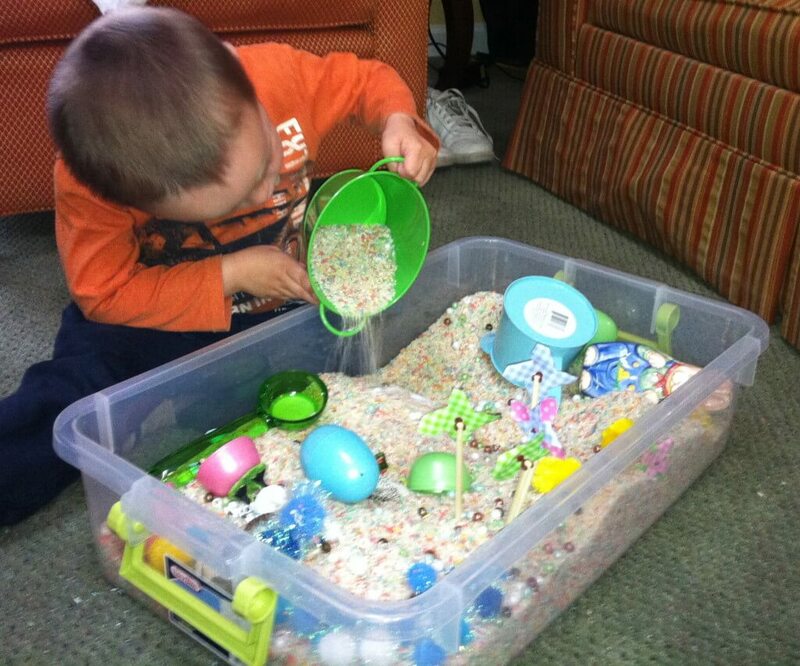 Previous Post: « 10 Super Simple Rice Sensory Bins!